What does it cost to play a round? 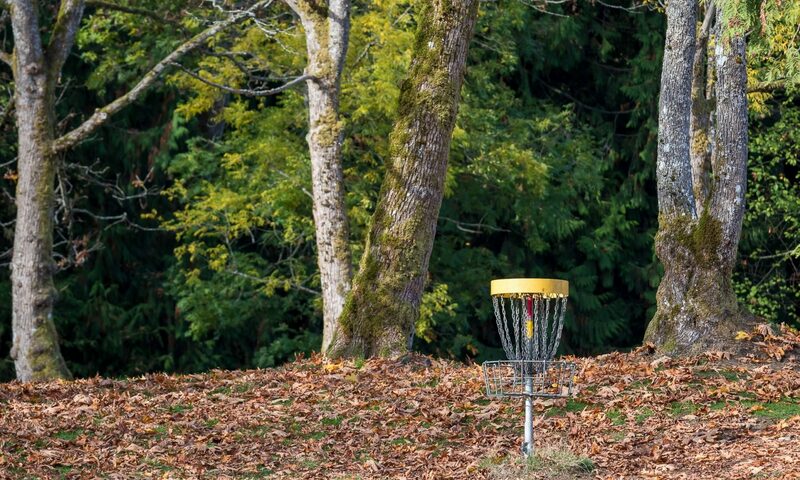 There are no course fees to play Bowen Park, so if you can get discs on loan from the rec centre it is free to play. Can we reserve the Bowen course for a group event? No. The course is located in Bowen Park, which provides open, public access of the multi-use space. Is there somewhere our large group can use as a central meeting place? Yes. Huts located on either end of the course can be reserved through the city, if required. Alternatively, there are a number of locations that will readily support a standard gazebo style tent. Where can discs be rented? Provided by the city, discs can be borrowed from the recreation office behind the lawn bowling pitch, accessed through the main entrance to the park. Availability and selection is unknown, so those interested are encouraged to call ahead. How can I get my own set of discs? Locally, located across from Bowen Park, The Velvet Paw carries a fairly wide selection of discs and gear. Aside from this, a quick Google will reveal a variety of online retailers, even within BC, that ship for reasonable rates.